To many in the age of Obama, America had succeeded in "going beyond race," putting the divisions of the past behind us. And then seventeen-year-old Trayvon Martin was shot by a wannabe cop in Florida; and then eighteen-year-old Michael Brown in Ferguson, Missouri; and then Baltimore blew up; and then gunfire shattered a prayer meeting at a church in Charleston, South Carolina. Suddenly the entire country awakened to a stark fact: African Americans particularly young black men are an endangered species. 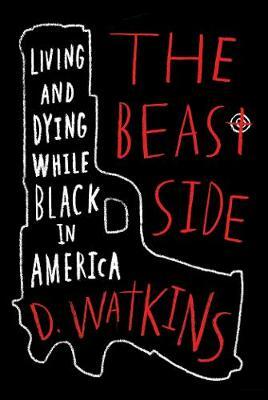 Now the country's urban war zone is brought powerfully to life by a rising young literary talent, D. Watkins. The author fought his way up on the east side (the "beast side") of Baltimore, Maryland or "Bodymore, Murderland," as his friends call it surviving murderous business rivals in the drug trade and equally predatory lawmen. Throughout it all, he pursued his education, earning a master's degree from Johns Hopkins University, while staying rooted in his community. When black residents of Baltimore finally decided they had had enough after the brutal killing of twenty-five-year-old Freddie Gray while in police custody Watkins was on the streets when the city erupted. He writes about his bleeding hometown with the razor-sharp insights of someone who bleeds along with it. Here are true dispatches from the other side of America.